Saadiyat Island, site of new cultural and residential developments in Abu Dhabi, including developments carrying the Louvre and Guggenheim names (Photo Credit: Human Rights Watch). LeftEast’s Konstantin Kilibarda interviews Haig Aivaizian of the Gulf Labour working group about the ’52 Weeks of Gulf Labour’ campaign. The campaign uses artistic interventions to shine a light on the labour practices underpinning recent projects like the Guggenheim Abu Dhabi. LE: What motivated you to start the ’52 Weeks of Gulf Labour’ project? HA: ‘52 Weeks of Gulf Labour’ was launched at the last Venice Biennial in 2013. It is a broad network of collaborations meant to unfold over a year. Every week, an artist, activist or writer contributes an artwork to highlight a different aspect of the living and working conditions of migrant laborers on Saadiyat Island on the one hand, and the consequences of global museum models à la Guggenheim on standards of ‘Culture’ on the other. We view this project as a direct action and certainly as a tactic for raising visibility and awareness within arts circles and beyond. 52 weeks is not the only tactic deployed in our bid to seek better conditions on Saadiyat Island and to explore better models of cultural and educational institutions. In fact, the project came out of a frustration with the lack of responsiveness to our attempts to maintain a productive and forward moving conversation with the Guggenheim Museum, as well as with the TDIC (Tourism Development & Investment Company), the developer responsible for the majority of the Saadiyat projects. It was because our demands fell on deaf ears that we decided to escalate the pressure with the 52 Weeks of Gulf Labour campaign, currently in its 24th week. We, along with many of the contributors to the campaign have noted that the Saadiyat also houses other equally problematic institutions such as the Louvre, the Zayed Museum (a British Museum partnership), NYU and others. LE: What types of links have you been able to build with workers’ advocacy organizations in the Gulf and/or in migrant source countries? HA: It is a complicated question. There are no worker advocacy organizations as such in the UAE and access to and communication with workers has also been a very limited and controlled affair. A large part of our efforts is also dedicated to create conditions and hopefully legislation that allow workers the right to be represented, which means to have the right to assemble, organize and have a voice. We have made substantial links with human rights lawyers, courageous journalists, labor leaders and others. Largely we have collected information to have a better sense of what the conditions are really like beyond the facades presented to us by the Guggenheim and TDIC. This enables us to better dispute and expose some of the well rehearsed PR oriented claims of bettering conditions and to better assess the scope of what can and cannot be done by the developer and the various international institutions to address the major issues we are calling for. One of the more complex areas we are trying to tackle is that of the recruitment fees that workers have to pay in order to get to the UAE. These fees can be so high that workers typically spend up to two years before they can get out of the debt caused by the payment of these fees. The incredibly low wages earned by workers certainly do not help speed up the process of getting out of debt. The complexity of the recruitment fees issue comes form the entangled web of informal channels which link host and origin countries, but it is by no means an impossible issue as TDIC claims. It is a very common strategy to lay the blame for recruitment fees solely on the countries of origin, and certainly a part of the problem resides with those governments, but the UAE needs to get serious about tackling this problem: it needs to enforce its own laws and insist that developers respect the government approved list of recruitment agencies rather than try to cut costs by going through informal channels. The Guggenheim, the Louvre and the others must use their leverage to make sure that these matters are handled with speed and urgency. From the beginning we have been talking to HRW (Human Rights Watch) and have also been in touch with the ILO (International Labor Organization) in order to see what can be done to bridge and navigate the loopholes across the broad facets of issues. The ILO has well documented conventions and solutions for recruitment practices worldwide and the current challenge is to get TDIC and the Guggenheim to seriously address these problems. We know that they have not attempted to contact the ILO. This would be a good start. 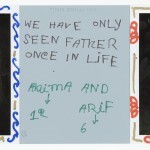 “Akima and Arif. Bangladesh” (2007). Jim Goldberg. LE: How were participating artists selected? What level of interest has been created within the arts community around this initiative? HA: Gulf Labor is comprised of many individuals each with their own sets of interests, approaches and communities. Some of us decided to contribute our own work, but we mostly approached others invested in the issues, have interesting insight, can shed light on some of the core issues at hand and make our weekly mailers resonate in various ways for our growing support. The interest from the community and press has been incredible. The campaign has really enabled us to reinvigorate our efforts, which have been ongoing now for close to 4 years and has put the issues of workers’ rights on Saadiyat on peoples’ radars in a significant way. We have also sought to highlight the increasingly corporatized practices of these global institutions who, far from behaving like the cultural beacons they are meant to be, are instead driven by bottom line thinking and maximizing profit. As an aside, it is likely that scrutiny engendered by other mega projects in the region such as the Doha World Cup in 2022 and Expo Dubai 2020 have also contributed to the picking up of momentum regionally around these issues. LE: What are some of the highlights of the interventions so far? HA: Perhaps, the highlight has been the unexpectedly viral quality of the campaign, as well as the structure itself of the project, which essentially triggered an organic expansion of our network. Many of the contributors have joined the campaign in a permanent capacity. 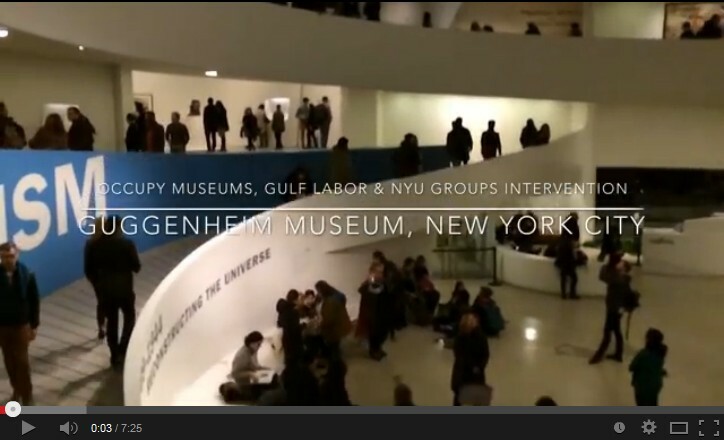 One of the interventions has even given room to a splinter group called G.U.L.F (Global Ultra Luxury Faction) who organized the recent intervention at Guggenheim New York during the Italian Futurism exhibition (how can we dream a future while ignoring the very real injustices of the present that are seeing a poisoned future?). G.U.L.F. has also built a Yes-Men style website which created a speculative alternative Guggenheim Museum– one that was responsive to artist demands and, as a first step, cancelled the mammoth Frank Gehry design and began the search for a more ethically responsible architecture. G.U.L.F. is inspired by Gulf Labor but working autonomously. We hope to see more initiatives like this in the future. 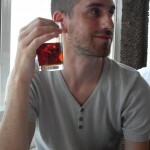 LE: How have the targets of your critique responded? HA: Both the Guggenheim and TDIC had been silent for a long time, after initially being open to communicating and negotiating with us. In the last month or so, we have seen a willingness on their behalf to re-engage with us. What this will lead to remains to be seen, but any form of openness and readiness is a good sign. We commend and encourage them for their outreach. LE: How have Gulf workers responded to these interventions? Are there plans on integrating the workers themselves into future interventions? HA: It is hard to gauge to what extent the workers are aware of what we are doing in any collective sense. As I said our group is fluid and comprised of individuals conducting their own projects and efforts. Some of these projects are looking to integrate workers in various forms which are yet to be determined. Our recent visits to the Saadiyat facilities, sites and worker accommodations enabled by TDIC has also resulted in a number of interviews and conversations with workers there. This material is currently being compiled, shared amongst the group and analyzed. LE: You point to erased forms of precarious labour that go into the reproduction of the global art market – from construction, to catering, to design and production workshops and sweatshops. Have you seen significant changes in how these forms of labour are being used since the beginning of your respective practices? HA: Precarity within the art world is rampant. This is true all over the world from unpaid interns in New York galleries to how artists are used in various art spectacles. , so it goes beyond the fields you mention. Precarious employment in the arts has become a much more present concern for artists, and more visibly so since Occupy Wall Street and the Art & Labor group. Some of the more publicized issues then included the campaign pressuring the New York edition of Frieze art fair to hire Union and local labor for the set up of the giant tent housing the fair on Randall’s island. Art & Labor had partnered with Teamsters for that. There was also the solidarity movement with the art handlers locked out by Sotheby’s in 2012. A few of our members have been in touch with labor organizations in various cities in a bid to garner support and international solidarity with the workers in the UAE. Also a necessary aspect of G.U.L.F is that they are calling attention to the New York side of things too, given that unethical labor practices are not exclusive to the Gulf States. In one of their statements they made mention of inadequate wages paid to part time security guards by the Guggenheim for example. Another instance of the global scope of the issues was the 22nd week contribution to the 52 weeks campaign which was the announcement of an exhibition in Southwestern College in San Diego, just a few miles from the US Mexican border. The show, entitled “Labor/Migrant/Gulf” is made up of 100 artists who explored migrant workers struggles throughout the world. The emphasis was on workers from Central and Southeast Asia who work in the Arabian/Persian Gulf, but also made a connection with California’s migrant history as well as Mexican workers on the US-Mexican border. 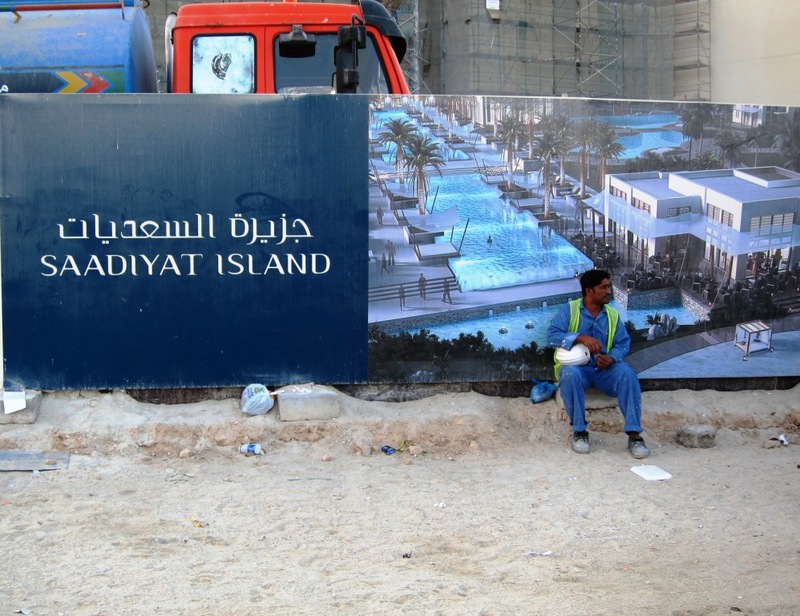 In the case of Saadiyat, the TDIC has developed a document called the EPP (Employment Practices Policy): a code of conduct addendum of sorts to UAE labor laws specific to Saadiyat. The document is meant to plug loopholes in the laws which tend to be imprecise. It is a relatively progressive policy which TDIC has altered and updated 12 times. This code however is not applicable to anyone with short-term contracts and of course its implementation in general is far from acceptable. In short, there is increasing awareness and urgency regarding precarious labor in the art market on a global scale yes, but the arts may be among the more regressive fields in terms of fair labor practices. 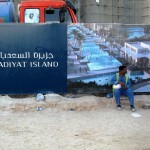 “Saadiyat Island Workers Quarters Collectable” (2013) by Matt Greco & Greg Sholette. 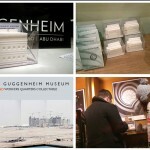 ‘Shop-Dropped’ 3-D Prints, printed label, plastic boxes at Solomon R Guggenheim: unlimited edition. LE: What have these actions taught you that you didn’t know before? HA: The whole campaign has been a tremendous learning process in the sense that many of us had no activist background to begin with. We have seasoned activists and artists that have had ample experience in not just representing but also enacting politics within their practices alongside novices who are learning the ins and outs of global labor, migration and recruitment practices. Often our approach is not far from how many of us conduct our artistic practices, in the sense that one often comes to a topic that sparks their interest or that is important to them, and due to the freedom of artistic agency can conduct research to become experts on a particular topic. The other thing we continue to learn is the importance of activating our positions as artists, our mobility and the funding structures afforded to us as practitioners and manners in which we can put those privileges to use for projects. Here again, the existing knowledge as practicing artists and applying it to a wider framework has been crucial. LE: How has your initiative intersected with ongoing protest movements throughout the region agitating for reform or revolution in the Gulf monarchies? HA: We would have to wait a while to understand the complexities of those kinds of intersections if indeed any exist. What I can tell you in the present moment is that in fact, the agitations and protests throughout the region have rigidified the regimes’ approaches to reform. Labor reform has become pegged to security concerns for these countries. LE: What happens after the ’52 Weeks of Gulf Labour’? VIDEO: Living up to a name: The story of ..
Work, Art, and Deindustrialization in Ri ..
HA: What happens is what was happening before the campaign started and what has continued throughout the campaign. It is important to understand that 52 Weeks is one of many approaches at our disposal. It may be one of the more visible ones, but it certainly is not the core or the bulk of what we have been doing. We will continue to expand our channels of alliances and add to the plurality of voices on multiple fronts. We continue to hope for significant advances, some of which we have seen since our 4-year campaign began. 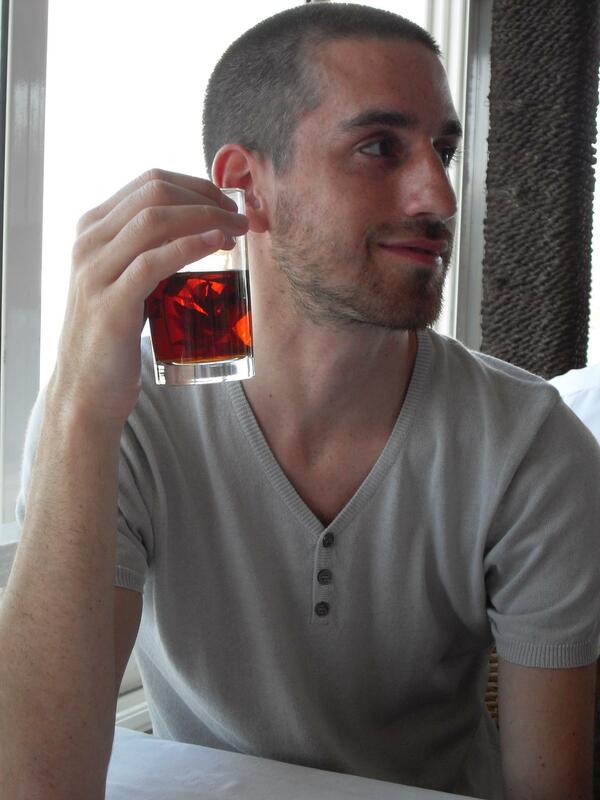 Haig Aivazian (b. 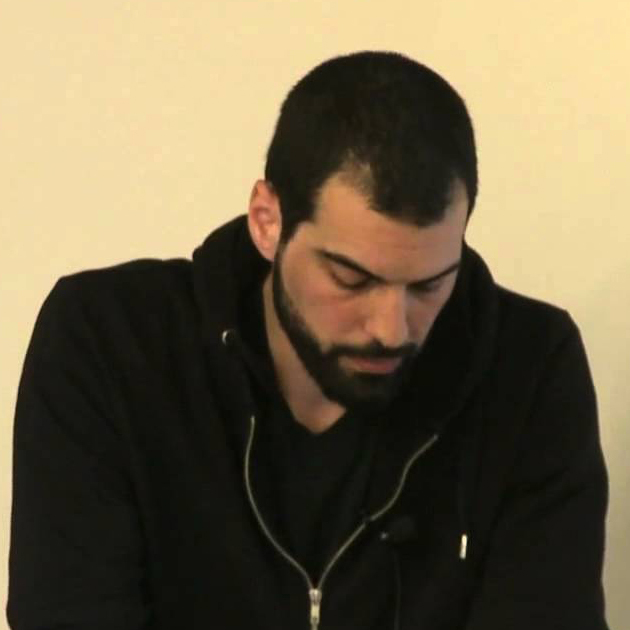 1980, Beirut, Lebanon) is an artist, curator and writer. Using performance, video, drawing, installation, sculpture and text, his work weaves together personal and geo-political, micro and macro narratives in its search for ideological loopholes and short circuits. He is a member of the Gulf Labor working group.